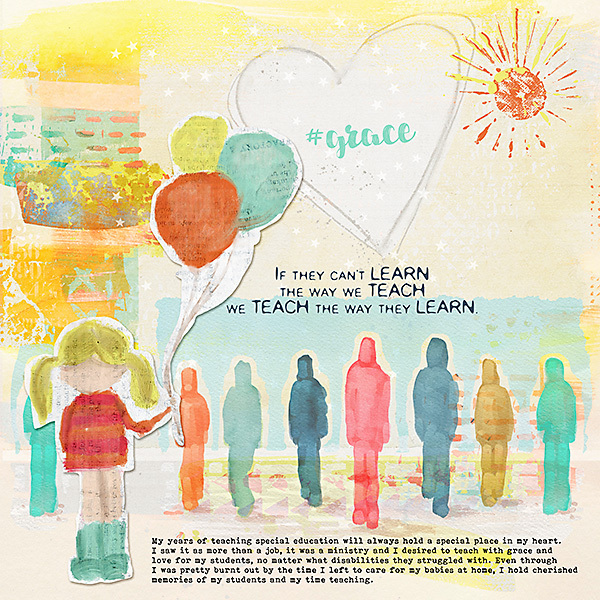 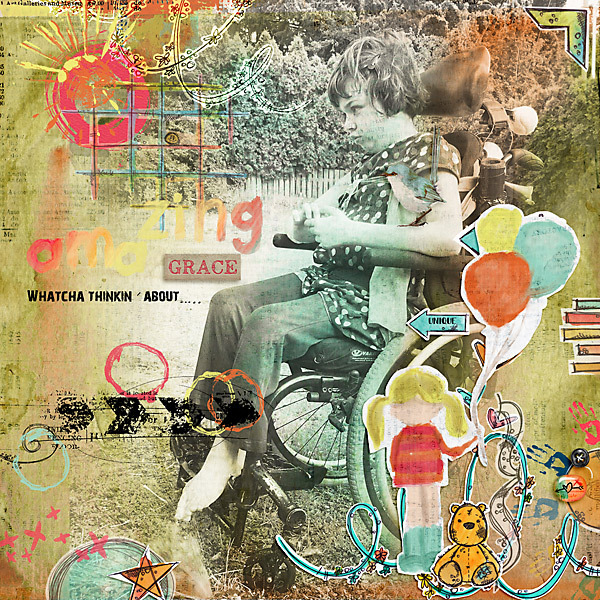 Different / Grace / Acceptance is built around the idea that we all have differences that should be celebrated and is dedicated to those who are differently abled. 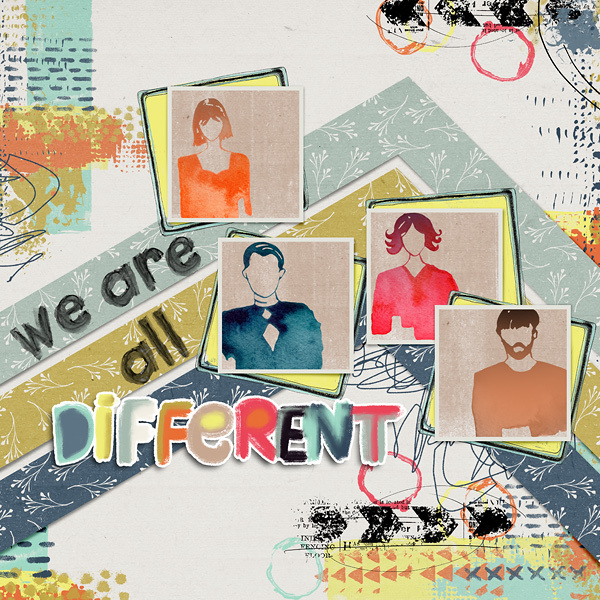 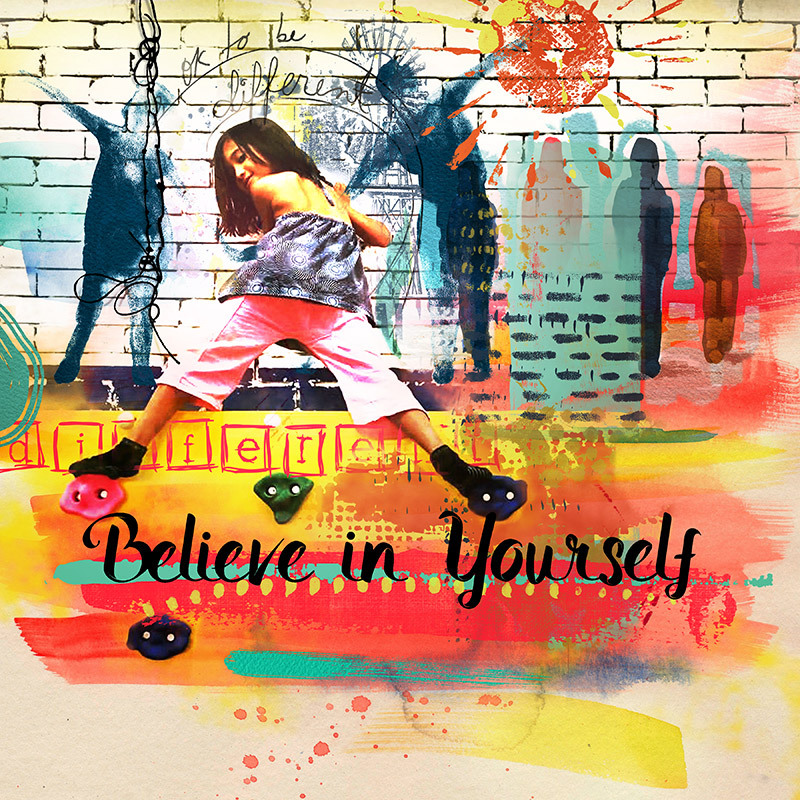 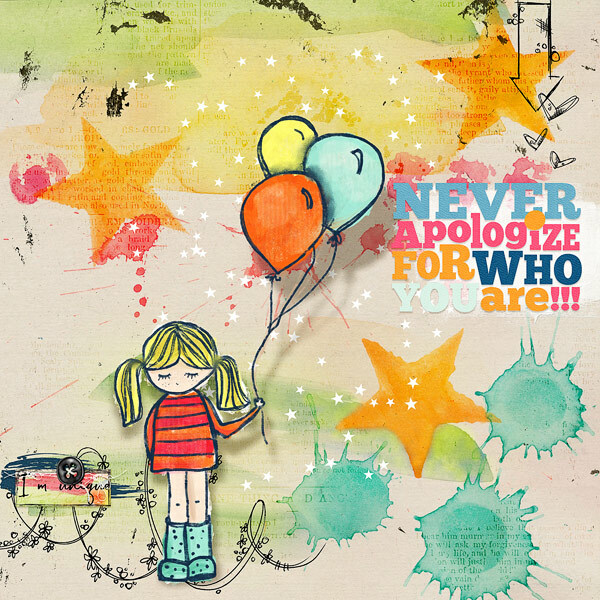 The kit contains: 104 elements, 51 papers, 1 alpha, 18 word arts and 1 template. 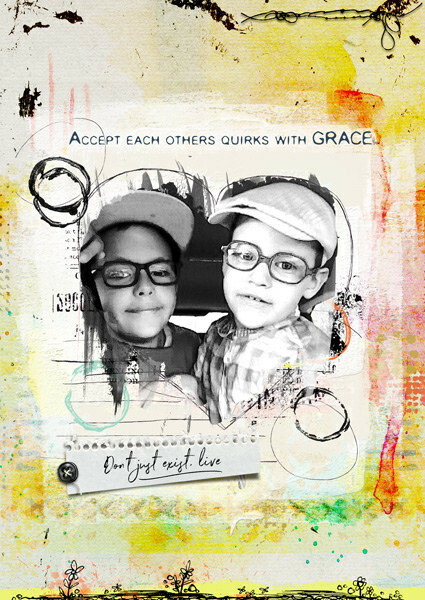 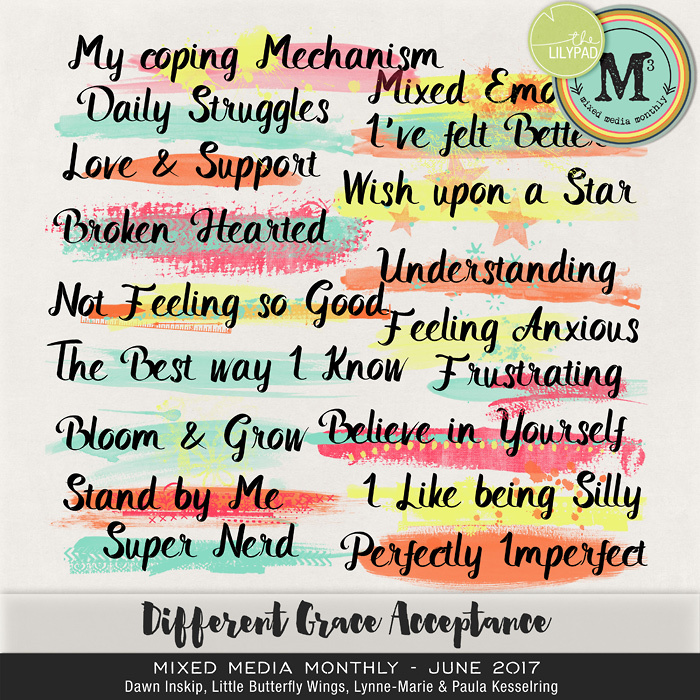 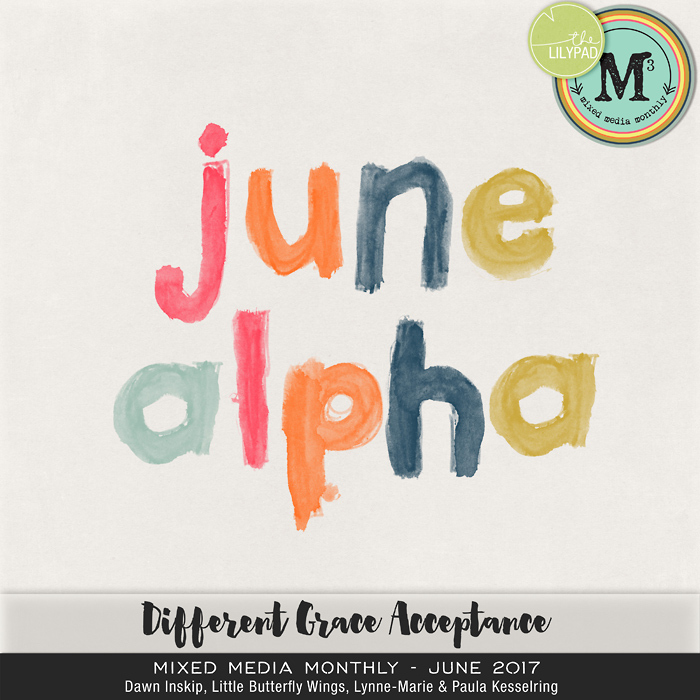 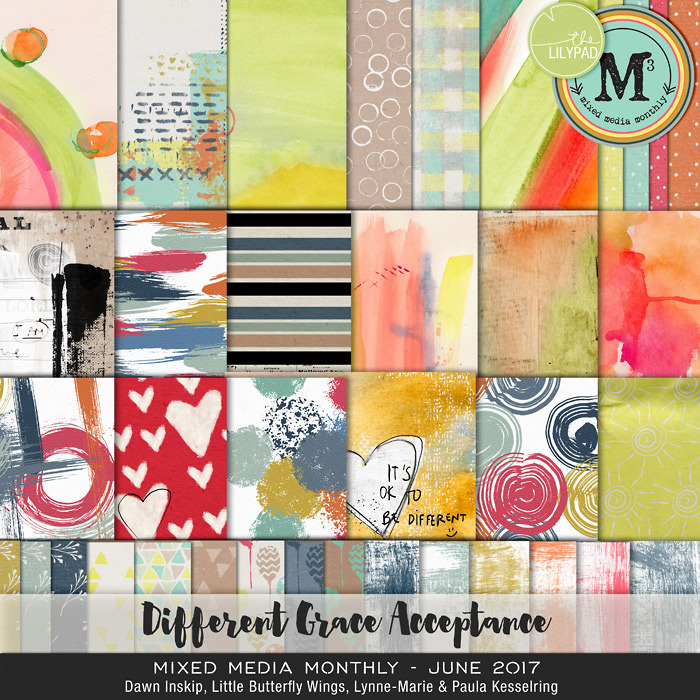 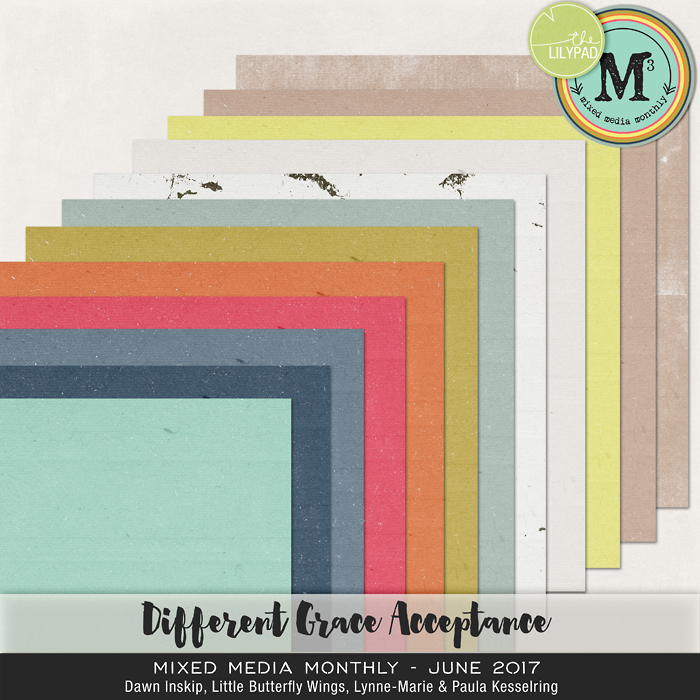 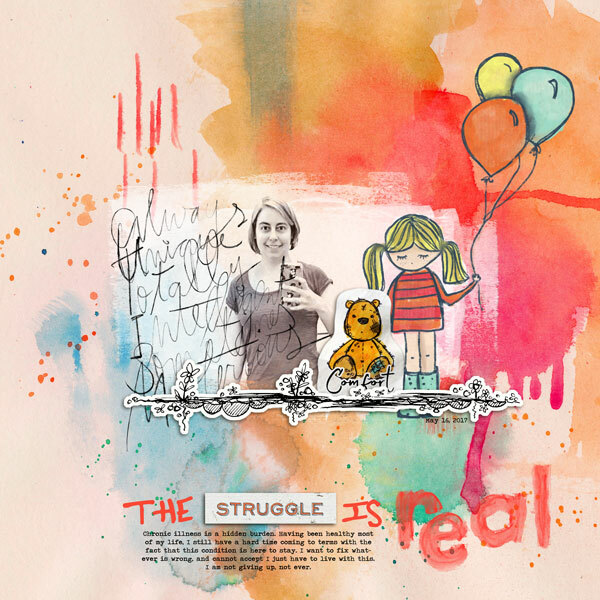 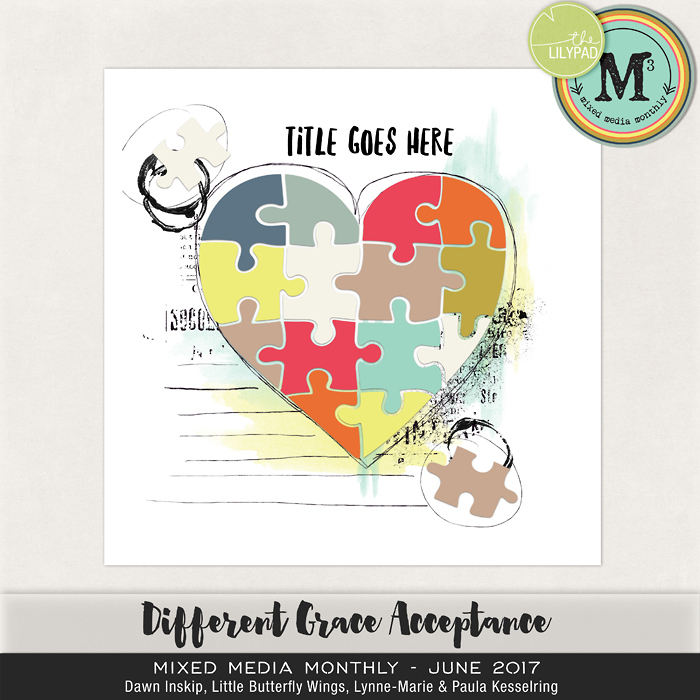 Be sure to check out the Mixed Media Monthly subscription too!